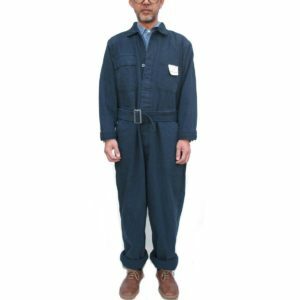 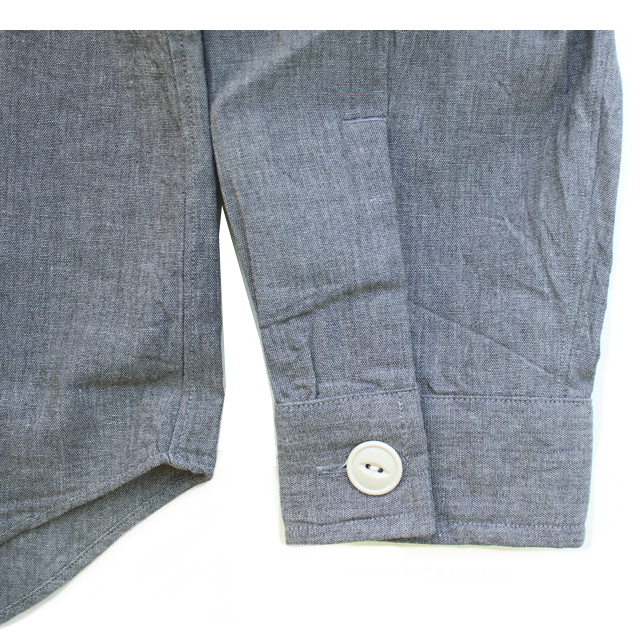 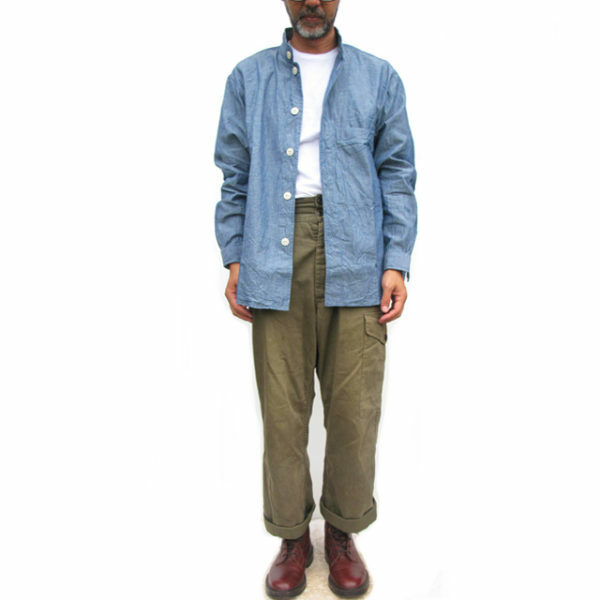 Made of their original light weight dungaree cotton. Loose silhouette as an overshirt. 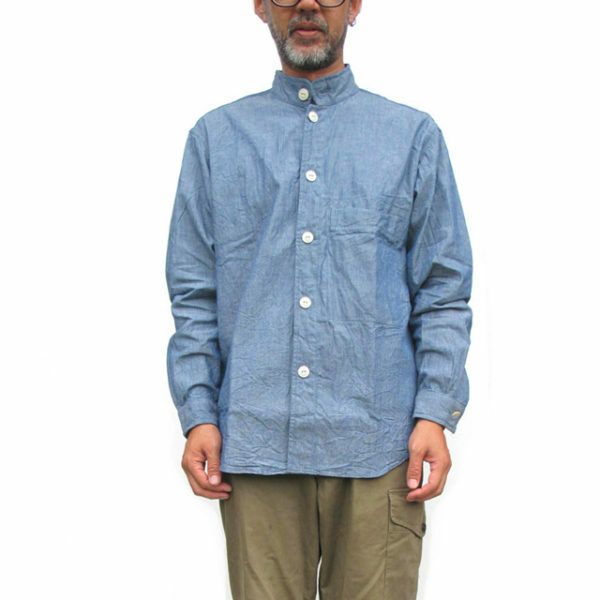 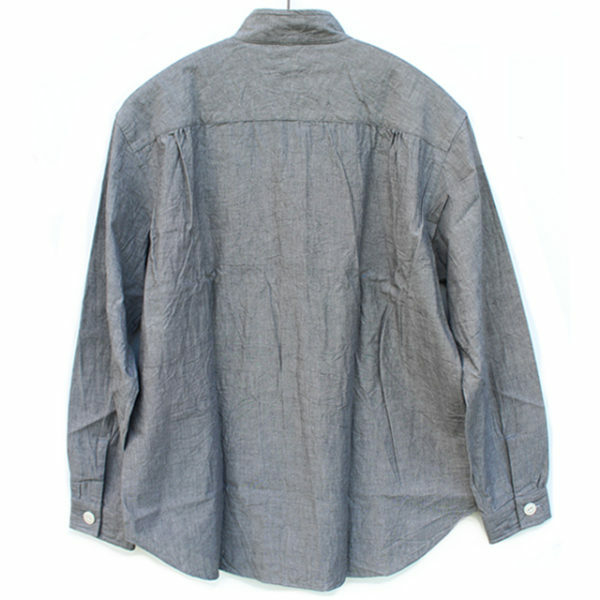 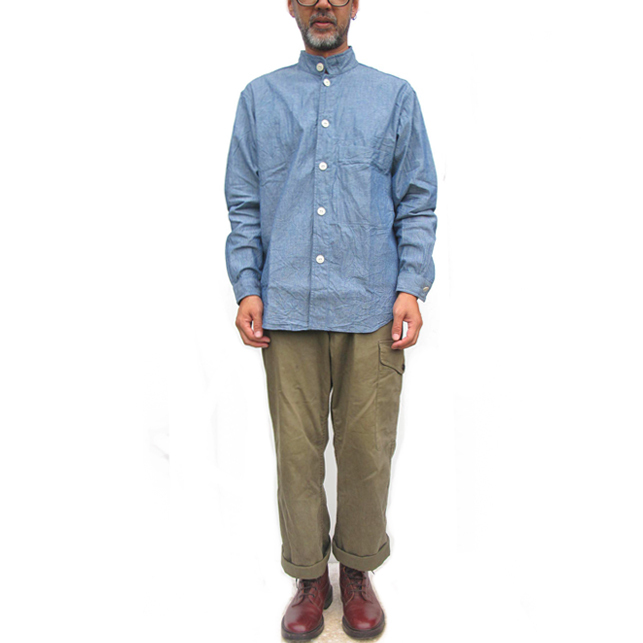 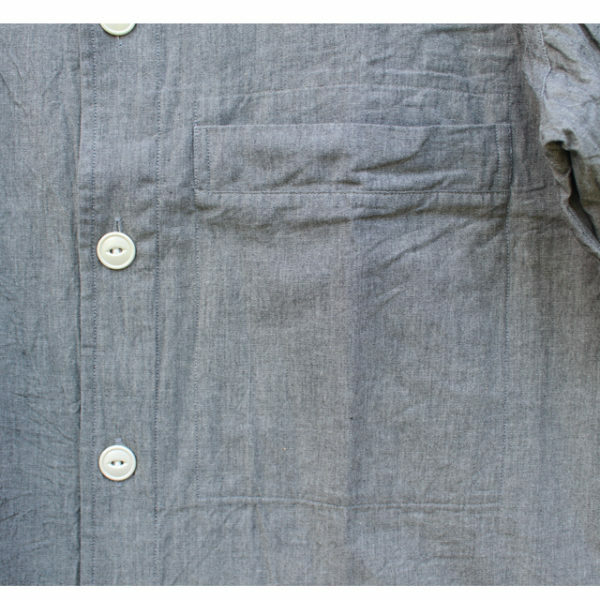 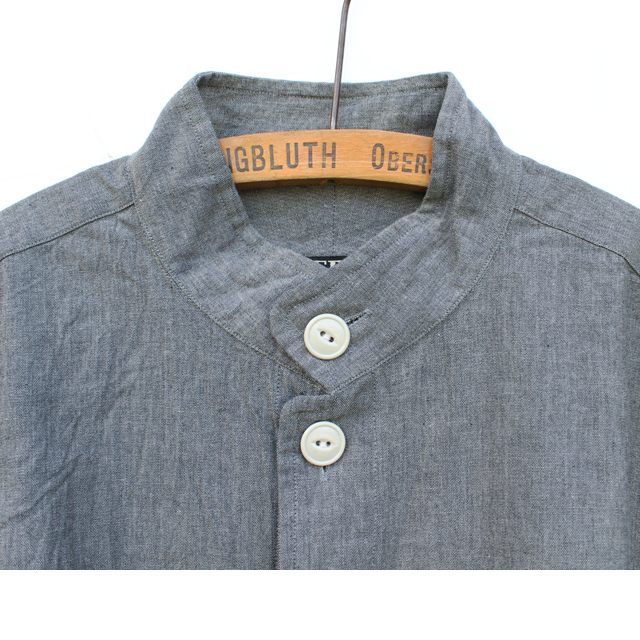 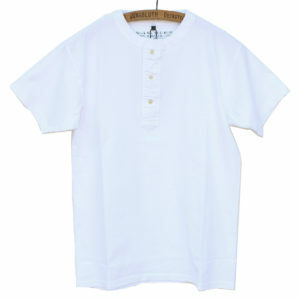 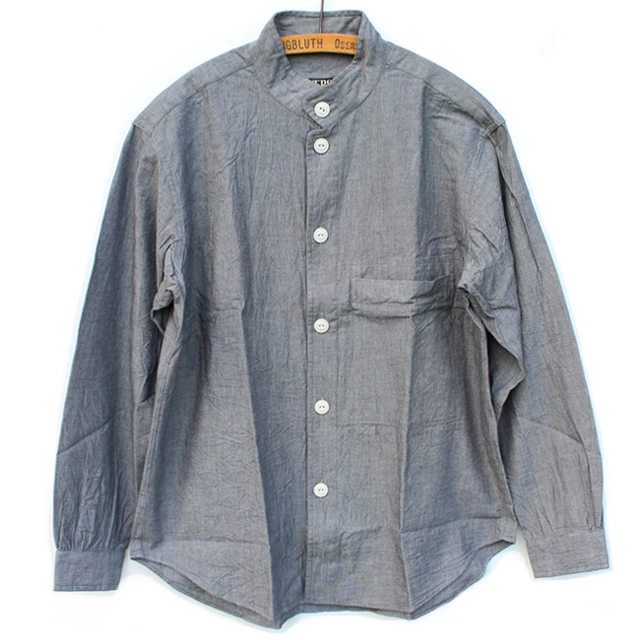 The shirt features a stand collar, a large chest pocket and flat wide buttons.